Home » 5 Freshest » Another Gustaf’s? Yes. 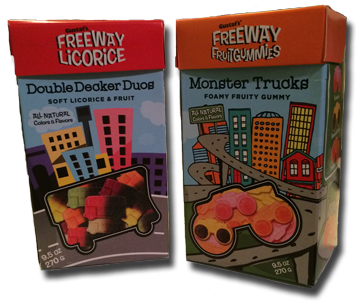 Freeway Gummies this time. No, variety isn’t the spice of life. Garlic is the spice of life. ok maybe pepper, cuz there are so many damn KINDS of pepper – from green to ghost and red flakes to black corns. Yeah ok. let’s say pepper. As our regular readers know, these Gustaf’s people peppered (pun totally intended!) the Gurus with their goods – and we like. So why stop reviewing them now? We shan’t! We won’t! Well then thank all that is holy for Gustaf’s. It appears they are making these in Holland (an underrated bastion of good sweets and beautiful women) and sending over to the US through some smart people at Gerrit J Verburg Co. (You can also get everywhere else on the web too, just do a search.) The thing I’m currently eating are the Double Decker Duos, and the box is chock full of these things. The 2-toned flavors are great; not your run-o-the-mill Kiwi Strawberry duo that really doesn’t take like either. It’s licorice, which stays with the candy throughout but in a very light way for all of you yokels who think you don’t like licorice. Lotta fruit flavors here: raspberry, orange, apple, lemon, pineapple or black currant. All different, all good, all with a solid chew – and that licorice throughout will make you feel like a true discerning all growed up candy taster. If I wasn’t a binge-er and hungry as hell right at this moment, I’d probably save some for people who asked. Howevs that ain’t happening. But lucky for you, I’m ALSO reviewing Monster Trucks! Cleverly constructed pic aside, these are usually the kinds of things I don’t love: “foamy fruity candy.” But these foams are denser and chewier than most others I’ve had, not light and fluffy, but thick and hearty. 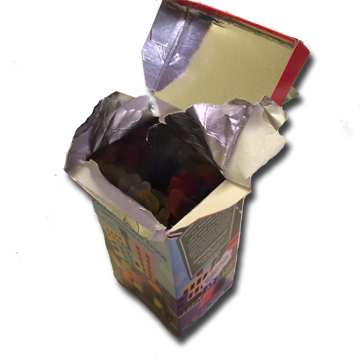 The fruit is very apparent – open the box and it’s like you just Febreeze-fruited your nose to bits. Maybe too fruity. But like the Double Deckers, you get a ton in the box. And these are straight up good, better than most foams. Note the little gummies as the wheels and you’re riding high straight to a Monster Truck rally. Drive them to your friends and it’ll be a gas! – Pepper is the spice of life. 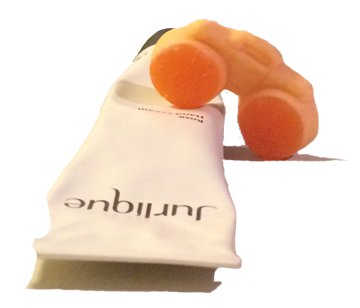 – Sometimes a solid candy is better than a cleverly named new fangled one. – The Dutch have hot women and really good candy. Maybe we should all move there.